Welcome to the Filmomat-Blog. If there are any news regarding the Filmomat, you will find it here. Stay tuned! Willkommen im Filmomat-Blog. Falls es irgendwelche Neuigkeiten gibt, werden diese hier kund getan. This will five current and future Filmomat users the opportunity to share experiences with the machine. You can now place orders directly online. Shipping costs are automatically calculated during checkout. Please contact me if your country is not listed, yet. On the 11th and 12th of november, I visited the so called "fineartforum" in Paderborn, germany. It is a small fair especially for analog enthusiasts. 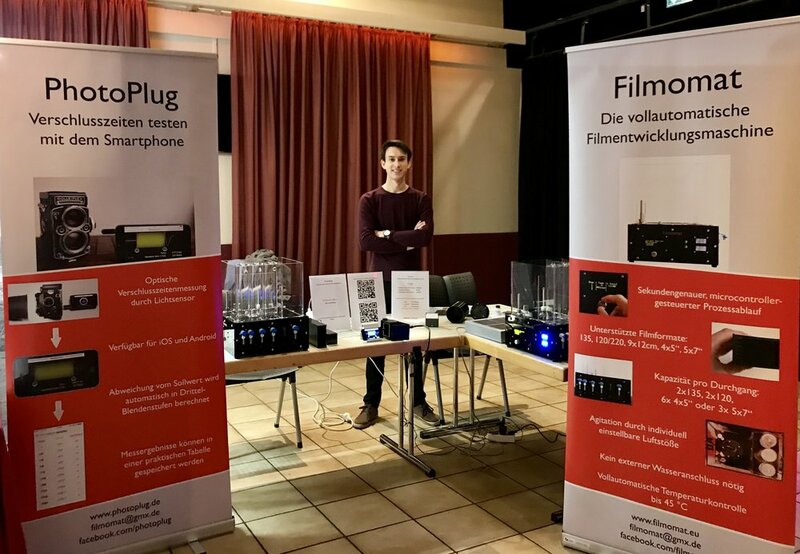 This year I had the opportunity to present the Filmomat at a little booth. I included this small Blogging-tool into the new website. If there are any news regarding the Filmomat, you will find it here. Stay tuned!